The Toshiba e-STUDIO170F is ready to go, right out of the box. 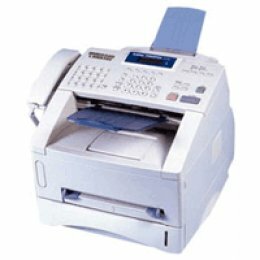 It includes a standard USB interface, Windows PC printing, scanning, and a convenient setup utility that allows users to program the fax machine from a PC. Separate drum and toner components provide for a full life of the drum and easy access to supplies that are user replaceable. With everything the e-STUDIO170F has to offer, it is surprisingly compact. This small but feature-rich machine is the perfect choice for small to medium offices and workgroups. It may be small, but its sure to increase productivity in a big way. 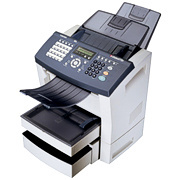 17PPM Plain paper laser output, faxing, scanning, printing, and convenience copying. 750 Sheet maximum paper capacity.